Newer: » 2018 Copa San Pedro playoffs begin! “In many parts of the country, they host spearfishing tournaments. So we decided to get together and host this tournament for the island fishermen as well as a way of raising awareness of this type of fishing,” said Roan Gonzalez, one of the organizers. On the day of the tournament, all participants will leave at 7AM from Boca Del Rio Park en-route to the deep sea beyond the reef. All boats are to be back at the weighing station by 4PM, where the different types of fish will be counted, measured, and weighed. Teams will be competing to catch the biggest Hog Fish, Barracuda, Red Snapper, Black Snapper, Grouper, Jack and even Lionfish. There will also be prizes for the top three teams that accumulate the most points overall. Spearfishing is a form of fishing using a spear. It is considered the most ecologically sustainable method of catching a fish, because a diver is restricted to shallow water, is very selective and can target the species and size of the target without the negative impacts of other fishing methods such as bycatch, bait, loss of gear and damage to the habitat. The deadline to sign-up is on Friday, October 26th. For more information or to sign up, you can call Gonzalez at 636-6797. 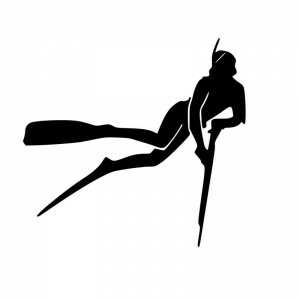 All spearfishing guides of Ambergris Caye are invited to join this local tournament.